A rainbow of sarongs hangs on display at a Maui shop. 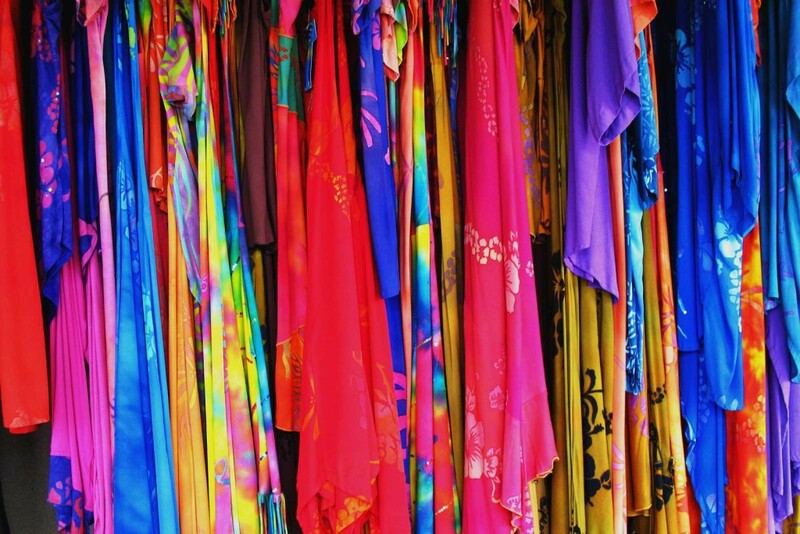 Sarongs can be found at most markets in Hawaii in addition to a few fine clothing shops. Ranging from standard to totally unique or even custom-made patterns, prints in Hawaii focus on vibrant colors, saturated ocean scenes, playful sea turtles, and lovely hibiscus flowers. If you look long enough, you can even find some more Hawaii-inspired sarongs with traditional kapa prints. Kapa is Hawiian bark clothing–called tapa in other parts of Polynesia–a cloth made from pounding out tree bark and imprinting patterns with bamboo stamps. Hawaii was set apart in kapa design through its use of a wide range of colors. 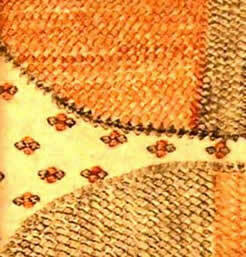 See some great information on how Hawaiians made clothing and the traditional patterns at Kapa Hawaii’s site.